Vaginal Davis has been living in Berlin, Germany since 2006. However, she is always prepared to pack her valise for a lecture tour on any continent. Need a headturning headliner for your University conference or symposium? Vaginal Davis's award winning artist talk Sassafras, Cypress & Indigo—Black Screen Images and the Notion of Freakiness may just be the highfilutin ticket you were looking for. 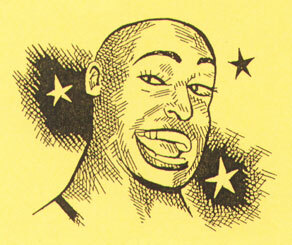 Above right: Vaginal Davis as drawn by Dan Clowes, creator of "Ghost World." 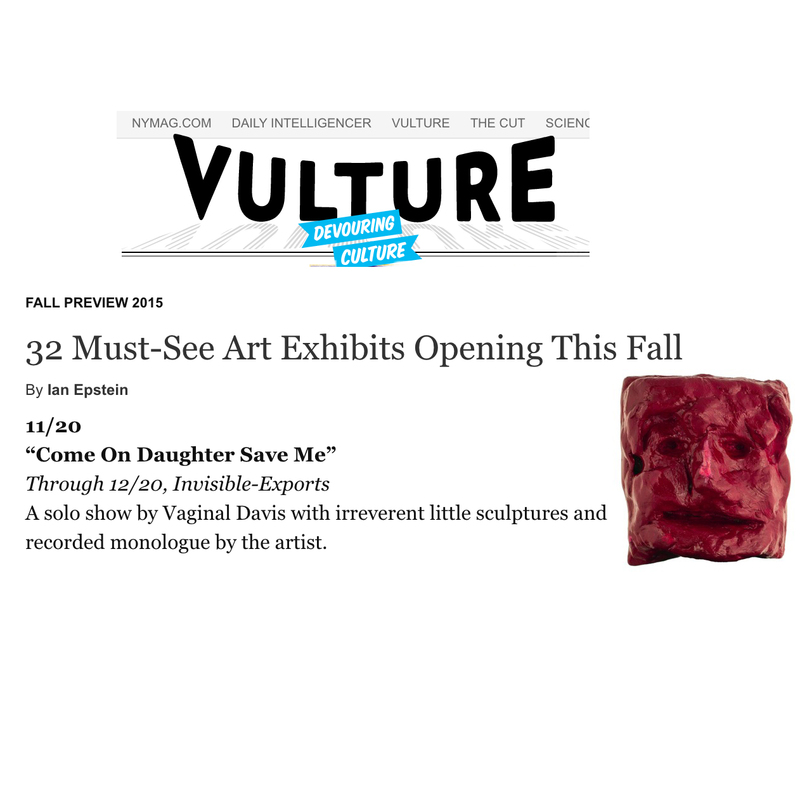 New Yorker Magazine raves on Vaginal Davis in New Museum show "Trigger: Gender as a Tool and a Weapon"
Village Voice: "Girl Squad: Vaginal Davis and Louise Nevelson on the Lower East Side"
How did you ever survive before you discovered Vaginal Davis? Now she has become the sole focus of your life, and you have become yet another zombie in the army of obsessed stalkers. And so you return, time and again, to Vaginal Davis.com, trying to slake your unquenchable thirst for knowledge of she who can never be fully fathomed. We do our best to help you, to provide you with that raw knowledge you seek. Enter, read, and know -- the world of Vaginal Davis. With over 15,000,000 followers and subscribers. Vaginal Davis' blog has over a quarter of a million faithful readers. She was muse to the late great Pina Bausch. She has inspired fashion designer Rick Owens and photographer Catherine Opie. Ms. Davis even had a lesbian love affair with actress Gwyneth Paltrow before she married rock star Chris Martin of Coldplay. Performances and Exhibitions: Curriculum of Vaginal Davis' Selected Performances, Lectures, Group & Solo Exhibitions, Teaching & Curatorial Assignments. Biography: The life story of Vaginal Davis. Filmography: Vaginal Davis' Films Plus: Vaginal Davis reviews Hollywood movies! Press: Selected print media articles about Vaginal Davis. Links: Other places to find out about Vaginal Davis on the World Wide Web. 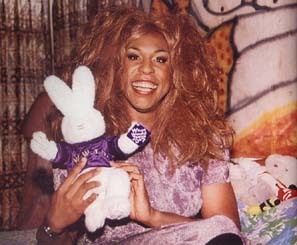 To book Vaginal Davis for a performance or for other information, contact Gleeson Breevard at Gleebrevard(AT)aol.com.